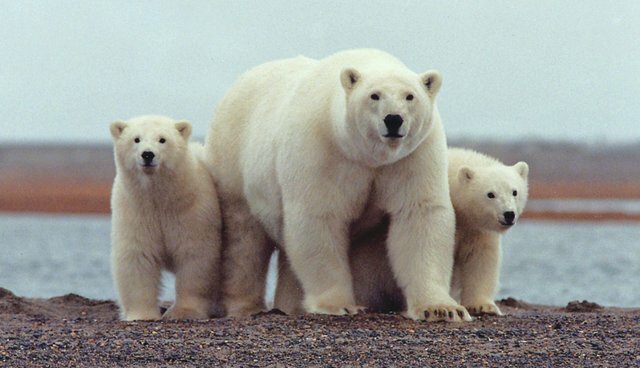 Good news for polar bears: On Sunday, the Obama administration announced a new proposal calling for millions of acres of Arctic National Wildlife Refuge in northeastern Alaska to be designated a protected wilderness area. If passed, the measure will give the region known as "The Sacred Place Where Life Begins" the highest degree of federal protection available to public lands. The proposal would add 12.3 million acres to the 7 million acres of the refuge currently set aside under this designation. In a video released by the White House, Obama says that the region's biodiversity is central to its need for added protections. "Alaska's National Wildlife Refuge is an incredible place, pristine, undisturbed. It supports caribou and polar bears, all manner of marine life, countless species of birds and fish," says President Obama. "But it's very fragile." The refuge's coastal plains have been eyed by the energy industry as a prime area for future gas and oil production - which would be off-limits under the president's proposal. Republican Sen. Lisa Murkowski of Alaska, who sits on the Senate Energy and Natural Resources Committee, calls the measure "a stunning attack" on the state's ability to exploit energy resources. But for the administration, the risks associated with the energy industry are just too great. "Unfortunately, accidents and spills can still happen, and the environmental impacts can sometimes be felt for many years," reads a blog post from the White House. According to the Fish And Wildlife Service, ANWR is home to "some of the most diverse and spectacular wildlife in the arctic" - including 37 land mammals, eight marine mammals, 42 species of fish, and more than 200 birds species. For a list of unique species in the region, visit the refuge's website here.